This item can create life-like swimming actions in water, attract predator to bite. 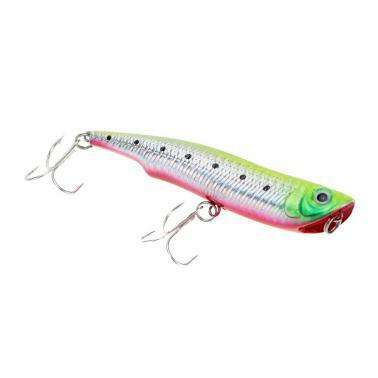 Popper fishing lures with vivid 3D eyes' and lifelike swimming action to provoke predator to bite. Durable ABS material, odor free, environmentally friendly, and impact-resistant. 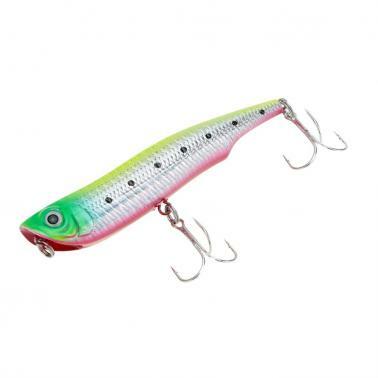 With 2 treble hooks, very piercing and durable. 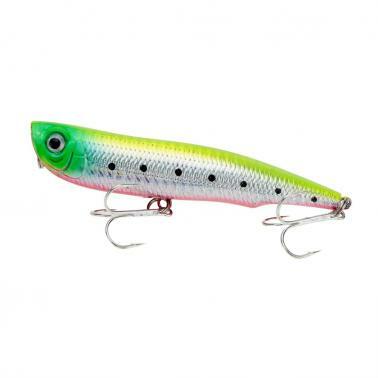 Suitable for shallow water, wonderful fishing tool for fishing lovers. 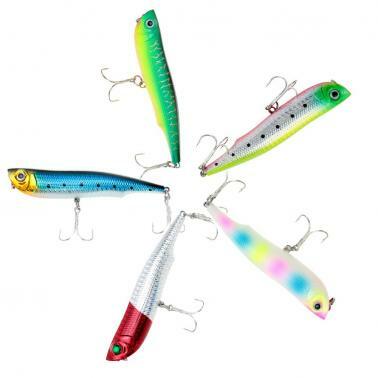 The hooks are very piercing, please be careful when using.